The 64 Boston public high school students pose with Summer Jobs Co-Chair Jeff Mittleman, MBLA President Doreen Rachal, Mayor Marty Walsh, BBA President Paul Dacier, and Chief of Health and Human Services Felix Arroyo. Monday morning marked the start of the 21st year of the BBA Summer Jobs Program with the annual Kickoff Event. This star-studded event, featuring Mayor Marty Walsh, Massachusetts Black Lawyers Association President Doreen Rachal, and Chief of Health and Human Services Felix Arroyo (also a former BBA Summer Jobs student), celebrated the start of the program and pumped students up for their first day of work. Both Doreen and Mayor Walsh encourage the students to take advantage of their summer internship. 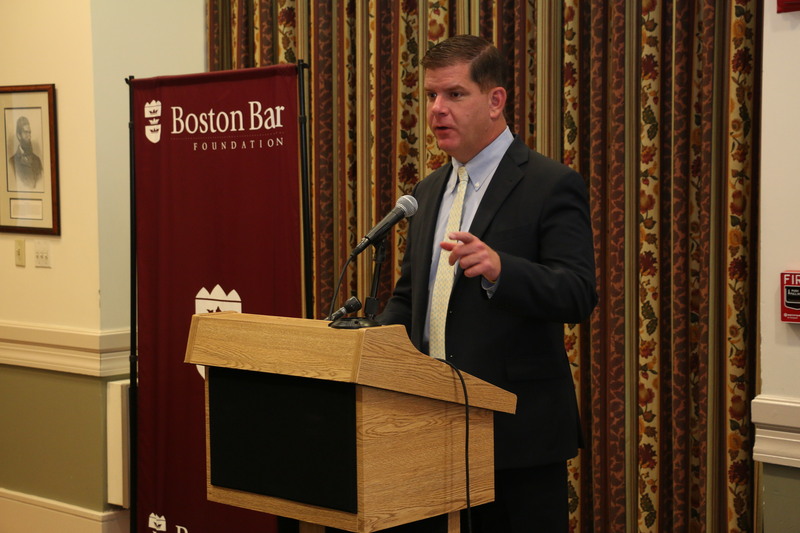 When Mayor Walsh addressed the students, he explained, “You can start to build you career this summer and you can start to build your dreams.” With these words of encouragement fresh in their minds, the 64 students headed out to their law offices for their first day of work. 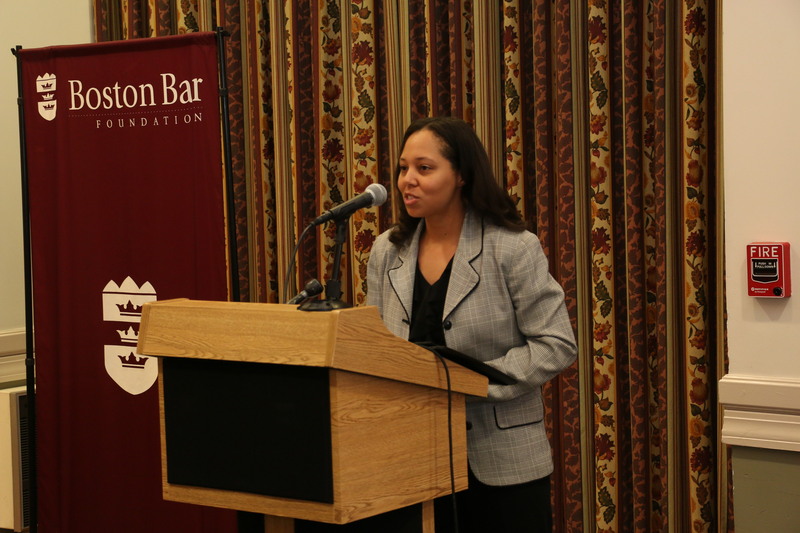 Keynote speaker Doreen Rachal, the President of the Massachusetts Black Lawyers Association, told the students about her own career path and encouraged the students to take advantage of this opportunity to gain professional experience. 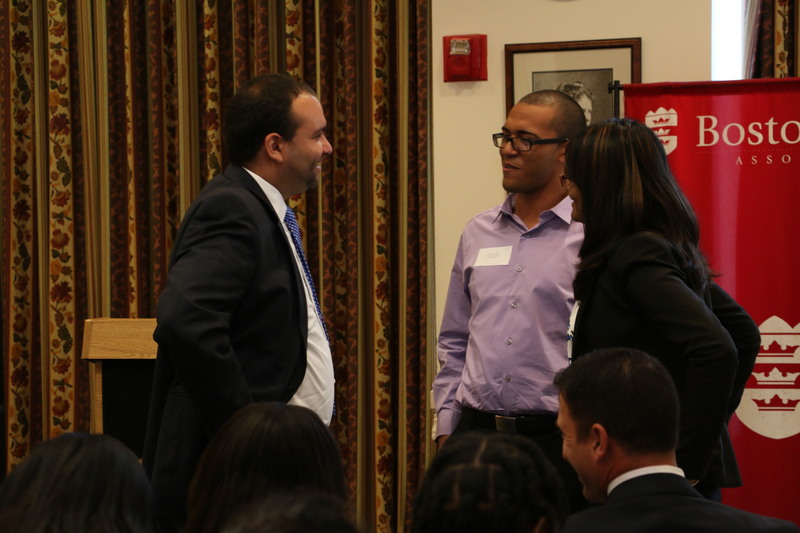 Felix Arroyo, Chief of Health and Human Services for the City Boston and former BBA Summer Jobs Student, spoke with Summer Jobs Interns Jerry Rodriguez and Romana Hussain about their internships. 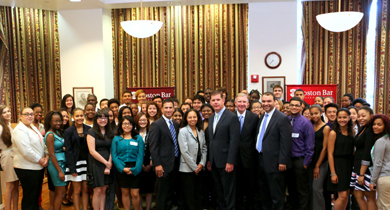 Mayor Marty Walsh emphasized the students’ unique opportunity to learn about the legal field and encouraged the students to take full advantage of this experience. 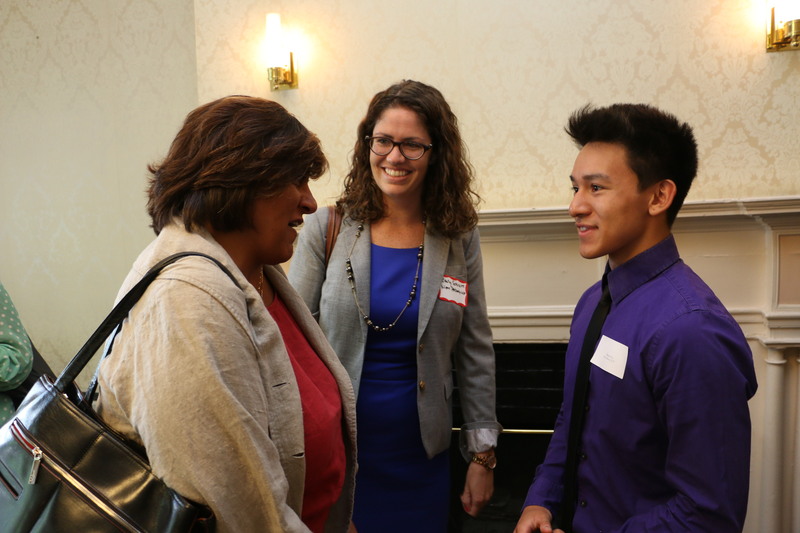 Emily Schnure (Nixon Peabody) introduced BBA Council Member Navjeet Bal (Nixon Peabody)to their Summer Jobs Student Thomas Vu, who just graduated from Boston Latin Academy. 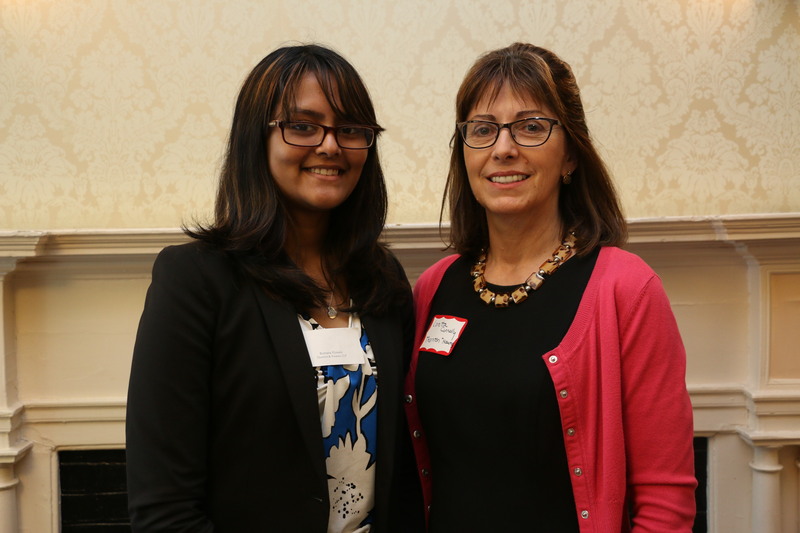 Romana Hussain, a rising junior at Boston Latin Academy, will be interning at Thornton & Naumes, LLP with Loretta Connelly (Thornton & Naumes, LLP). 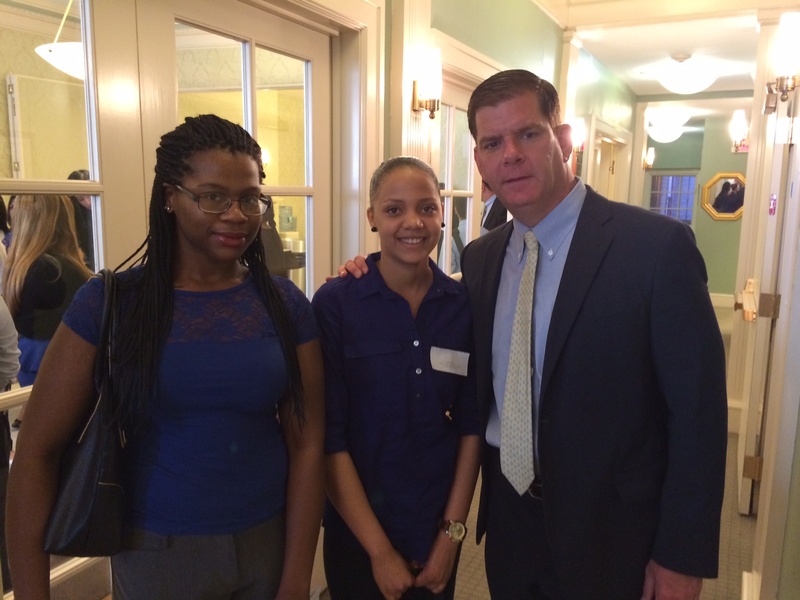 Mayor Marty Walsh posed with Sarah Lloyd-Wingard and Keila Gomes, who are interning at the City of Boston’s Office of the Corporation Counsel this summer.